testo 6743 dew point transmitter | Távadó | Termék típus | Testo Kft. Our testo 6743 dew point transmitter was designed specifically for measuring trace humidity in compressed air or dry air. It boasts a polymer humidity sensor which features a high degree of accuracy and long-term stability. 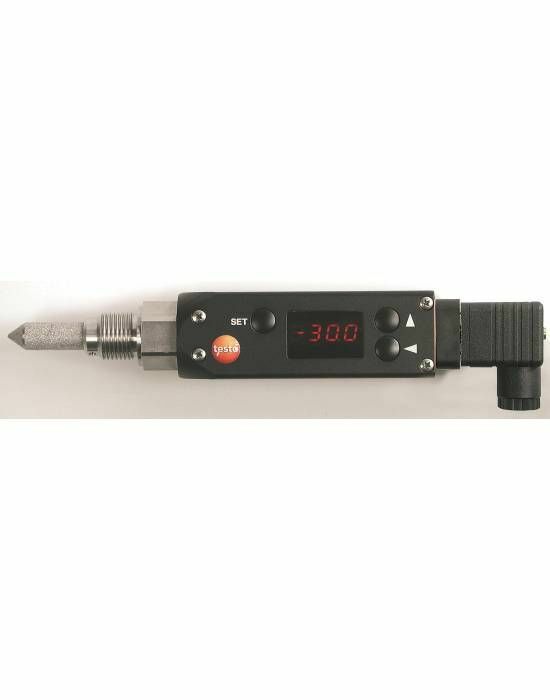 testo 6743 dew point transmitter to -45 °Ctd with polymer humidity sensor, display, process connection G½ thread, analog output 4 to 20 mA and optional alarm plug with 2 switching outputs.